Tommy Wisseau’s The Room is the gift that keeps on giving. First, you’ve got the entertaining film itself with its idiosyncratic dialogue and attempts at profundity, all mired by a blind faith in one person’s vision. Then there’s the cult that has sprung up around the film, throwing spoons at midnight showings and endlessly quoting Wisseau’s disasterpiece. Now there’s a soothing song devoted to the doomed relationship of Johnny and Lisa, which is strangely touching as it also provides a synopsis for all the weirdness the “so bad, it’s great” movie encapsulates. As performed by Rachel Glassberg, “Song From A Room” tells the story of lovestruck Johnny who is deeply smitten with his beloved Lisa and feels nothing but loyalty towards his friend Mark until it’s revealed that the two have been canoodling behind his back. Then the chorus kicks in with the familiar refrain of “You’re tearing me apart, Lisa!” albeit in much gentler tones than delivered in the film. 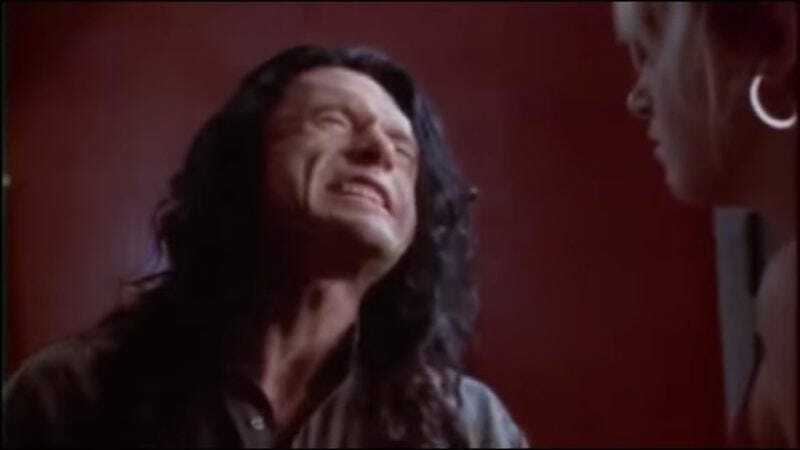 It’s a sweet song that seems oddly well-matched for the incredibly earnest The Room, and perhaps will even find itself being performed at a few of those midnight screenings.